Finally! A Way You can Eliminate the Dentist and Save yourself Hundreds of Dollars by dealing Directly with the Dental Lab! Dental Lab Direct announces that Custom Sports Mouthpiece that can be used as an Anti-Snoring mouthpiece are now available OVER THE INTERNET for $349, for individuals that snore & want top sports perfomance! SilenSnor® is a completely customized oral appliance that resembles an athletic mouthpiece. Small and flexible, it has no moving parts, masks, hoses, or batteries. SilenSnor® is made from sterile thermoplastic. It is easy to clean with a regular toothbrush & is the perfect Snoring Solution. How is the SilenSnor® fitted? By using our 'Teeth Impression Kit' to make your own impressions, our lab can create you completely customized mouth pieces that will keep you from snoring and getting a peaceful nights rest. 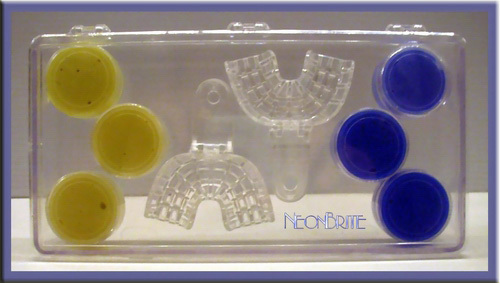 Watch the video on our new site www.dental-lab-direct.com to view making your own impressions! Now... You've Just Gone Through the Exact Same Process Thousands of Dentists Go Through Every Day and Saved Yourself Hundreds of Dollars (maybe even Thousands!) The process is the same for all of our products. SilenSnor® is worn during sleep. It uses normal body reflexes to keep the airway open. The device fits snugly on the upper teeth. When the lower jaw closes, the lower teeth close onto the lower ramp of the SilenSnor. This keeps the jaw in a normal position, rather than sagging open and back. In addition, the tongue reflexively seeks the small center orifice between the upper and lower ramp. This reflex keeps if from sagging back into the throat. With the airway open, breathing is relaxed and normal during sleep. Your lower jaw is in an advanced position, not normal. How effective is the SilenSnor®? Users of SilenSnor® report significant improvement of sleep quality, and a return of symptoms when it's not used. 99% reported reduced snoring and 50% reported elimination of snoring ("Oral Appliances for the Treatment of Snoring and Obstructive Sleep Apnea: A Review," Schmidt-Nowara, et. al., Sleep, Vol. 18, No. 6, March 1995, pages 501-510). 80% reported decreased sleep disturbance with treatment ("Treatment of Snoring and Obstructive Sleep Apnea with a Dental Orthosis," Schmidt-Norwara, et. al., Sleep, November 1990). "Anti-snore device works: Product Name SilenSnor®." A study of 75 people wearing the device showed snoring improved in all patients except one, and sleep quality and sleepiness also improved. Warning! Snoring may be hazardous to your health! Your body needs about 7-8 hours of undisturbed sleep each night to allow you to have a good day. If yours or your partners snoring awaken you continually, you suffer from all sorts of unpleasant things...don’t you. Many doctors will tell you that the most successful methods to eliminate snoring are jaw positioners or CPAP machines. Surgery (both conventional and laser) is falling out of favor due to the rather low success rate and adverse effects (see The Vancouver Sleep and Breathing website for more). Somnoplasty (Radio Frequency probe) is promising but no long-term studies exist. I had throat surgery and that didn't stop the snoring. I discovered that I had apnea. The doctors recommended a C-pap machine. I tried the SilenSnor® mouthpiece and discovered that the mouthpiece not only eliminated my snoring, but the sleep apnea disappeared as well. I've been using the product for over three years now and I am completely satisfied. Would I recommend it to my friends and family? You can bet on it. CPAP sells for around $1,200, and Somnoplasty usually costs from $2,000 - $5,000. Many sleep disorder clinics will recommend that you start with an oral appliance like SilenSnor. If this method works for you, your search is over, if not you can move up to a CPAP machine or Somnoplasty. SilenSnor® is the ideal place to start. We even offer a 30-day unconditional return policy so you can't lose! SilenSnor® Anti Snoring Device works so easily that you'll wonder why you didn't do it years ago. It works by inserting it into your mouth, over your teeth, much like a sports mouthpiece*. It gently holds your lower jaw slightly forward while you sleep. This opens the airway in your throat and allows the rushing air in your throat to slow down. Slower air doesn't vibrate the loose tissue and stops the snoring sound. SilenSnor® -- also known as dental appliances, or mandibular advancement splints -- have been effective for many people who snore, including those suffering from mild or moderate obstructive sleep apnea. They are usually small plastic devices worn in the mouth during sleep to prevent the soft throat tissues from collapsing and obstructing the airway. They do this by bringing your lower jaw forward and/or by lifting your soft palate. Some devices also stop the tongue from falling back over your windpipe. Before you go for a multi-hundred dollar solution, try a less expensive nightguard device that you can order over the Internet and fit yourself. The FDA seems to have colluded with dentists in making mouthpieces a prescription item -- so you'll either have to order from www.neonbrite.com or talk your dentist into writing you a prescription for one. You can also buy ours without a prescription. Will mouthpieces mess up your beautiful smile? No. Researchers in Sweden found few problems in patients, especially those using soft plastic mouthpieces. However they recommend that you always check back with your dentist after a few months to ensure that your appliance isn't causing unwanted orthodontic side effects. Alternatively, Dental Lab Direct™ announces the Custom Comfort NiteGard® is now available for individuals for bruxism treatment. Bruxism \‘brək˛si-zəm\ n [Gk brychein to gnash the teeth]: the habit of unconsciously gritting or grinding the teeth especially in situations of stress or during sleep. Have you ever been told that you grind your teeth? Maybe you need a grinding tooth guard. Tooth grinding (bruxism) is an oral habit which involves clenching and grinding the teeth. It is not uncommon in our society. Approximately 50% to 96% of adults experience bruxism. 15% of children acquire this behavior. Most often, this habit goes by unnoticed by the person. Bruxism can occur during the day or night. If you think you may be experiencing this oral problem, see your oral health professional.